Former The Bachelor bachelorette Selma Alameri is a married woman! 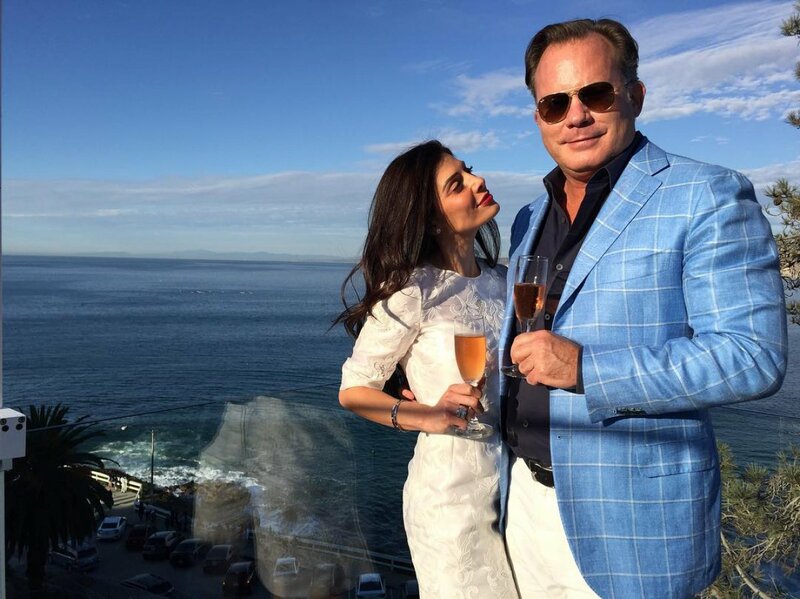 Alameri from Season 17 of The Bachelor exchanged vows with her fiance, attorney Patrick Daniels, in San Diego on Thursday, December 29, Us Weekly reported. Alameri -- a 33-year-old real estate agent who competed for Sean Lowe's heart on The Bachelor and memorably refused to kiss him due to her strict Muslim upbringing -- told Us it was the "amazing, perfectly uncomplicated wedding" of her dreams. She also shared numerous photos from their nuptials on Instagram. Alameri decided on a low-key ceremony rather than an extravagant wedding, mainly because the couple's family members were getting too involved in the planning process. "Everyone got involved and had an opinion and the family started to argue -- we really didn't want all that. We just wanted a peaceful, comfortable and smooth wedding," Alameri said. "It was me who chose City Hall. Patrick was happy to have a wedding, but weddings become about everything but the bride and groom." The bride wore a classy knee-length embroidered white dress on her big day, while Daniels, a wealthy founding and managing partner of a San Diego law firm, sported khaki pants and a blue plaid suit jacket. "I have to say, my favorite moment was hearing him say his vows to me. At that moment, it finally started to feel real to me," Alameri explained, adding that the couple will splurge on an "amazing honeymoon" in Europe with the money they had saved from ditching a big wedding. "That, to me, will be more memorable," the former bachelorette told the magazine. Alameri and Daniels, who is 15 years her senior, got engaged in June. She showed off her massive and stunning diamond engagement ring on social media, saying that Daniels "promised me forever!" And Alameri isn't phased by the haters. Early last year, she responded to criticism on Instagram that Daniels is too old for her. Some followers even went as far as to call Alameri a "gold digger." "I'm a lot older than u may think and he's a lot younger than u may think... I just laugh because people always think he's much older," Alameri wrote in reply to a comment. "Truth is, he is 15 years older, but now-a-days I think that is a good age difference... so many woman make that choice now because we are such old souls and need a man who's older to understand us. With that being said, I'm happy I can be a perfectly acceptable example." Alameri briefly dated eighth-season The Bachelorette bachelor Arie Luyendyk Jr. in early 2013. Later that year, Alameri was rumored to have dated the franchise's host Chris Harrison, but other than confessing he's attractive, she denied such speculation. Lowe eliminated Alameri from The Bachelor 17 in the process of narrowing down his bachelorettes to six women.